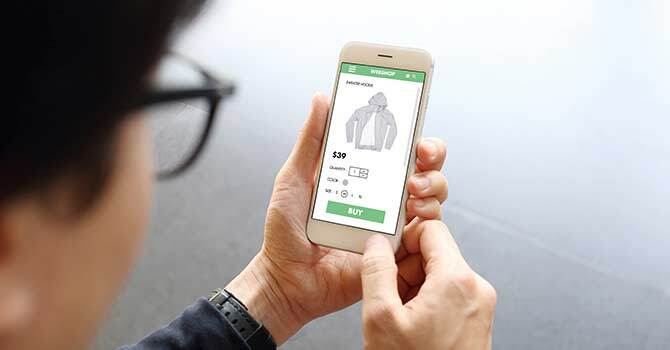 In an age of advanced technology, convenience and self-service, more and more customers are turning to ecommerce businesses over their brick-and-mortar counterparts. But that’s not to say that the physical storefront is becoming extinct. In a mutually-beneficial cycle, most in-store purchases are inspired by online searches and social media sites. Let’s take a look at a common 21st century scenario. A customer is interested in a product they’ve never tried. They search for reviews, descriptions and photos of the product online. Once interested but not entirely convinced to buy, the customer opts to make their first-time purchase in store. Satisfied, they establish brand trust and continue to buy products from the business’s online store out of convenience. This ROPO (“research online, purchase offline”) model allows brands to appeal to the modern customer who expects both options. Visual appeal is a huge factor in capturing customer attention, establishing trust and building your brand’s credibility. Businesses that invest in creative, high-quality photos and videos to make beautiful websites, and advertise products on image-focused social sites, like Pinterest and Instagram, get more exposure and see higher conversion rates. “Just fine” might allow you to stay in business now, but scalable solutions will help your business continue thriving in the future. Keeping up with the rapid pace of technology and modern shopping habits is important for even small businesses. The influx of new customers and loyalty from existing ones quickly supersedes the initial investment of making the leap into ecommerce.